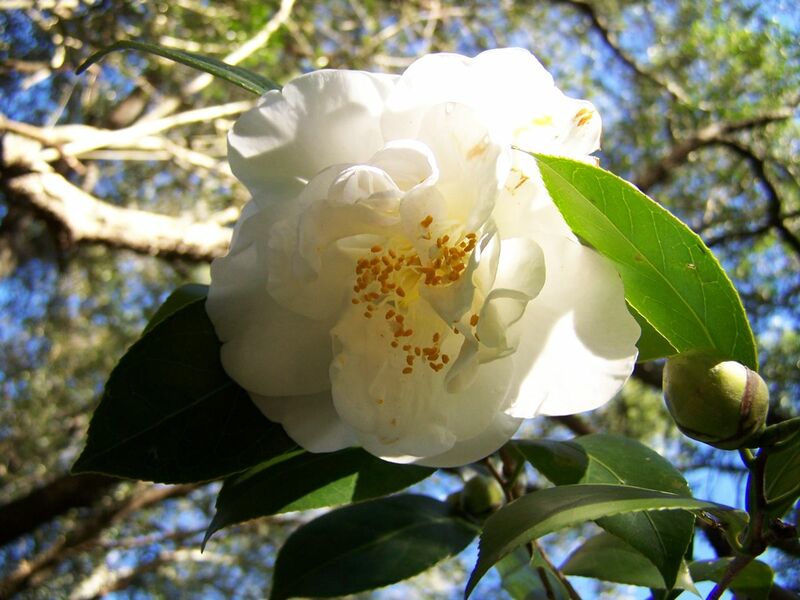 A cultivar of Camellia japonica L. Camden Park bred, seedling 6/50. ‘Pure white, moderate size, petals well shaped, not sufficiently numerous, of moderate substance and well formed.’ William Macarthur. [MP A2948-6]. First described in 1850 and listed in the 1857 catalogue [T.218/1857]. It was listed in catalogues throughout Australia and New Zealand and was still grown in the 1940s. [CQ]. ‘Dido’ was also listed in the ABHSR of 1849/50. Probably Camellia japonica 'Dido'. This 40 year old tree was transplanted from the old Camden High School. It was planted there as a cutting from a tree at Camden Park that is now dead.